Festivals are kind of a big deal in Japan. Especially during the summer, the Japanese people have all sorts of celebrations across the country. These celebrations have ties to their beliefs and traditions. There are small festivals that villagers celebrate and there are also huge festivals that are flocked not just by locals but also by tourists. Suffice it to say, when the Japanese hold their festivals, these events are grand and are decorated with vibrant colors. There are also several performances held throughout these events. One of the biggest festivals held in Japan every year is none other than the Gion Matsuri. Globally known as the Gion Festival, the Gion Matsuri is a festival held on a yearly basis in Kyoto, Japan. It is one of the most renowned festivals in the country. The festival lasts for the entire month of July, hence, a lot of people can go and celebrate with the locals during this special event. The festival is crowned by a parade known as the Yamaboko Junko held on the 17th and on the 24th of July. The month-long event obtained its name from the Gion district of Kyoto. Known as the festival of Yasaka Shrine, the Gion Festival holds many events. The grandest event would be the procession of floats, which is the Yamaboko Junko. Nonetheless, there are still other events leading up to this spectacular show. There are several performances throughout the occasion that visitors can watch and enjoy. Preceding to the much-awaited procession are the festive evenings known as Yoiyama. After a hiatus of 48 years, a second procession was just introduced in the year 2014. Hence, the Yamaboko Junko also occurs on the 24th of July. However, the second procession consists of smaller and fewer floats in comparison to the first grand procession. Nonetheless, the second procession is still a must-see. There are two types of floats that are referred to when one says the word “Yamaboko.” These two kinds of floats are the 23 yama and the 10 hoko. Among the primary reasons as to why the Gion Festival is so impressive is because of how massive the hoko is. Standing up to 25 meters high, the hoko weighs up to 12 tons. They are pulled on wheels that are as big as a human being. Unique themes are represented by the yama and the hoko by their elaborate decorations. 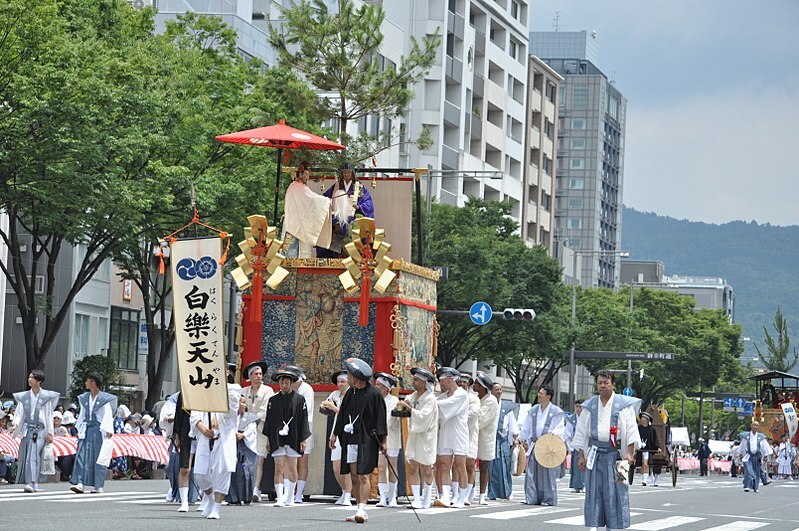 The first procession held on the 17th of July shows 23 yama and hoko. Because it is the grandest procession of the event, the hoko is especially impressive. On the other hand, the second procession held on the 24th of July shows the remaining 10 yama and hoko. One of the main reasons why the festival is so impressive is due to its long and almost continuous history. The festival began as just a religious ceremony in the year 869, when it was performed to appease the gods when there is an outbreak of an epidemic. Up to this day, the practice of choosing a local boy to serve as a divine messenger continues in this festival. The child is not allowed to set foot on the ground beginning on the 13th of July and ending on the 17th of the same month after the boy has already been paraded through town. The festival is held in the Shijo and the Karasumae area of Kyoto despite its name hailing from the Gion district. The times differ depending on the event of the day though the actual main festival is held on the 17th of July. There is no admission fee though there are paid seats available. These seats are to be reserved in advance as chances of its availability can be slim as the date of the festival arrives. Kyoto can be reached by taking the JR Tokaido Shinkansen from Tokyo, which may take about 140 minutes with the fastest Nozomi train. Stations to keep in mind depending on the day of the festival include Shijo, Kawaramachi, Karasuma-Oike, Karasuma, and Kyoto Shiyakusho-mae. Initially a part of a purification ritual known as goryo-e, the main purpose of the Gion Matsuri is to placate or appease the gods that are believed by the Japanese to cause natural disasters. These include fire, floods, and earthquakes. In the year 869, the locals faced an epidemic of plague and pestilence. It was believed to have been caused by the rampaging deity Gozu Tenno. The people were ordered by Emperor Seiwa to pray to the god of the Yasaka Shrine known as Susanoo-no-Mikoto. Sixty-six halberds were stylized and decorated corresponding to every province in old Japan. These halberds, along with portable shrines known as mikoshi hailing from Yasaka Shrine, were prepared and erected at Shinsen-en. Each time an outbreak occurred, this ritual would be repeated in the hopes of solving the problem. As it became a tradition, it was then decreed as an annual event in the year 970. Since then, this tradition is seldom broken. Though it was initially a simple ceremony, the merchant class, both influential and powerful, made it a point to make the festival more elaborate. By the Edo period, the festival became an event used by the merchant class to showcase their wealth. However, the Ashikaga shogunate put a stop to these religious events in the year 1533. Undeterred, the locals protested this order. Though they are willing to stop the rituals, they want the procession to continue. Hence, this resulted in the current form of the festival today. Some of the smaller floats have been either damaged or lost through time but the locals have found a way to restore these floats. New tapestries were also offered by the weavers of the Nishijin area so as to replace the old ones that were destroyed. Because the festival only occurs once a year, the materials used in the festival is generally kept in special storehouses under the supervision of the local people. This is so as not to produce more waste because of how grand the decorations are in every Gion Festival. This is also to save money on these elaborate decorations as these can be used again in the next years. The festival is so popular that it has been used as an essential setting in the novel “The Old Capital” written by Yasunari Kawabata. Because the festival lasts for a month with various activities depending on the day, it can be quite confusing for some people to follow. The main event of the Gion Festival is none other than the Sama Matsuri Junko or the Yamaboko Junko. 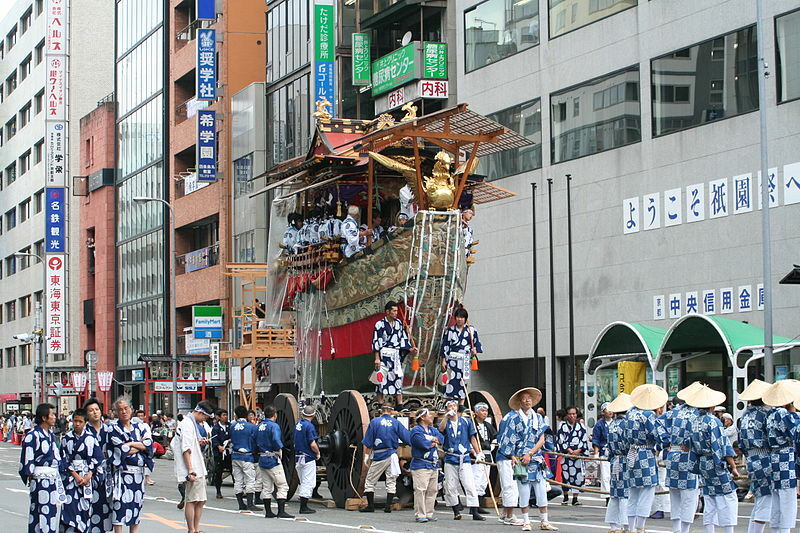 It is the float procession held every 17th of July. It begins on this day at 9 in the morning. 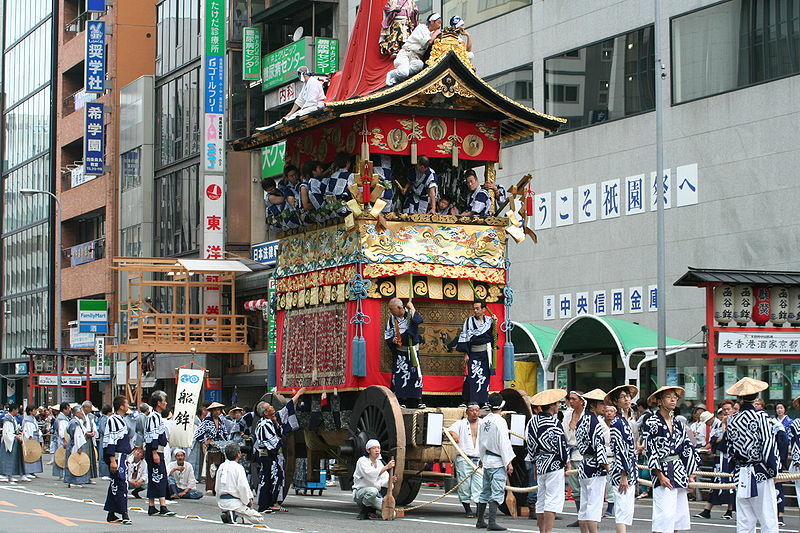 23 of the large yama and joko shall be brought from their staging places around the intersection of Shijo and Karasama. It goes east along Shijo-dori then north along Kawaramachi-dori. Then, it turns west on Oike-dori. It takes about two and a half hours and ends at the intersection of Oike and Karasuma. The procession ends at approximately 11:30 in the morning. Visitors are able to view and watch the procession at any point along the route of the yama and hoko. Official viewing stands located in Oike-dori are also available though not exactly necessary. People watching from near the corners would be able to see the struggle of the people trying to make the gigantic floats turn and change direction. The route is about 3 kilometers long as it begins from Shijo-Karasuma on the 17th and from Karasuma-Oike on the 25th. Paid seating costs about 3,180 yen and is provided in front of the city hall. Due to the sheer number of people attending this event, advance booking is required. Still, visitors would be able to get a good view of the procession from various points along the route. On the 24th of July occurs the Ato Matsuri, also known as the After Matsuri. For the first time in almost 50 years, a second float procession was featured in the festival in the year 2014. This procession is known as the “Ato Matsuri.” Though this procession is considerably small in comparison to the first procession, tons of people still go to visit and watch this parade. The route taken by the yamaboko is the reverse of the route of the main grand procession. The procession begins at 9:30 in the morning and ends after about 2 hours, at around 11:30 in the morning. People who would like to watch in a less crowded area, this event would be better instead of the grand procession, which is packed with tons of people. While the other events held in this festival are not as impressive as the grand procession, they are still quite enjoyable to watch or participate in. Beginning from the 10th of July to the 14th of the same month, people can watch as the floats are being assembled. Take note that these floats are actually assembled from scratch. Furthermore, no nails are used to create these floats. The opening ceremony of the festival occurs from the 1st to the 5th of July. The lantern parade occurs on the 10th of July to welcome mikoshi portable shrines. On the same day, mikoshi arai is also performed, which is the cleansing of mikoshi with the use of sacred water sourced from the Kamo River. From the 10th to the 14 of July, yama and hoko floats are to be constructed. The Yoiyama occurs from the 14th to the 16th of July. There is a street party as the people anticipate the grand procession happening on the 17th. Also from the 14th to the 16th of July, there is the Byobu Matsuri, which is the folding screen display. On the 15th, traditional Japanese entertainment is performed, to the delight of the onlookers. On the 16th, there is the Kencha Matsuri, which is the tea ceremony festival, and the Iwami Kagura, which is an ancient court dance. Finally, the 17th of July makers the grand parade of yamaboko float. It is also the day when the mikoshi from Yasaka Shrine is paraded to the city. Other festive nights occur from the 21st to the 23rd of July. From dusk to 10 in the evening, there are street parties as the visitors anticipate the second procession. The 24th of July marks the second float procession. Also on the same day, there is the Hanagasa Junko, which is the flower umbrella procession. This event is followed by the Kyogen performance on the 25th of July. The last days include the mikoshi arai on the 28th. Finally, the nagoshi-sai, also known as the summer purification ceremony, is held on the 31st of July. After which is the closing service at Eki Shrine, which marks the end of the Gion Festival. Prior to the grand procession, the most exciting part of the festival is the anticipation. 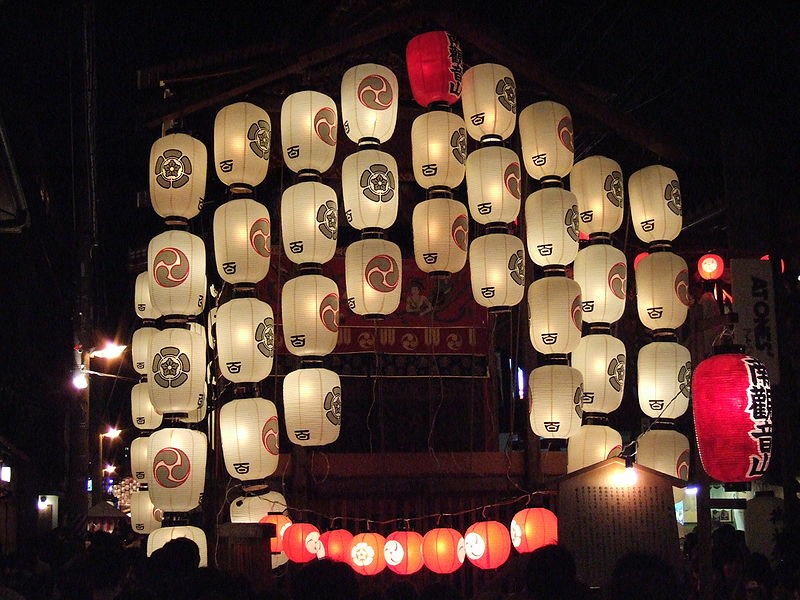 Nights before the Yamaboko Junko, street parties are held along the streets known as Yoiyama. Three nights prior to the main event, the streets are closed to traffic from 6 in the evening until 11 in the evening. The area is filled with food stands and drink vendors. 16th of July marks the Yoiyama. The 15th is known as the Yoiyoiyama while the 16th is known as the Yoiyoiyoiyama. On the other hand, this 2017, the road closures only occurred on the 15th and 16th of July. Furthermore, there are no road closures on the second Yoiyama as the events are smaller. Food sold include yakitori, takoyaki, taiyaki, and okonomiyaki. Traditional Japanese sweets can also be found here. It is common to find several girls dressed in their best yukata while toting around their traditional purses as well as paper fans. It is also common for some private houses located in the old kimono merchant district to showcase their valuable family heirlooms, a custom done during the Folding Screen Display. The Yoiyama is one of the best events to occur in this festival. It also concludes the days filled with several performances that indeed give delight to not just the locals but also visitors in the area. Participating in the events of the Gion Matsuri would definitely be a colorful as well as an unforgettable experience. Definitely check it out when visiting the beautiful city of Kyoto.